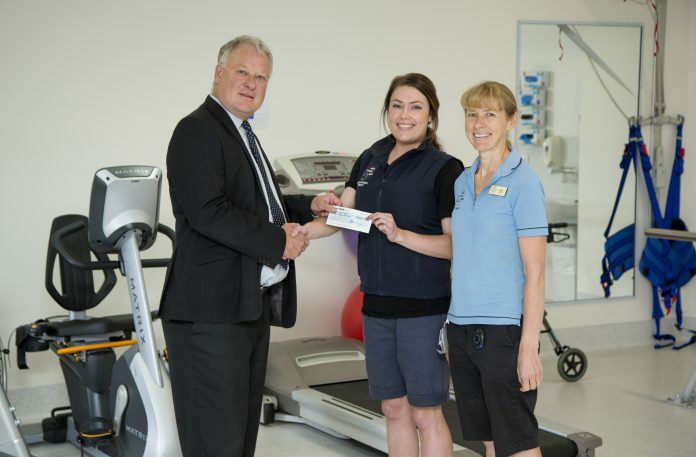 The Big Day Off charity has presented a cheque for $8,000 to Albury Wodonga Health to help purchase robotic equipment used for spinal cord injury rehabilitation and therapy. Big Day Off Chairman, Jon Retford says although the charity promotes a national event, the committee was determined to ensure locals received a share of last year’s fundraising efforts. 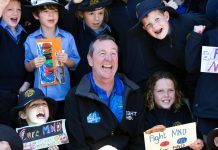 “The Big Day Off started here (Albury-Wodonga), and it’s certainly grown to become bigger than just an Albury-Wodonga event, but it’s very nice to make our first donation into the local community,” Mr Retford said. Simone Svarc, Occupational Therapist, Inpatient Rehabilitation Ward at Albury Wodonga Health says the robotic equipment will make a significant difference to patients. “We’ve very excited,” Ms Svarc said. 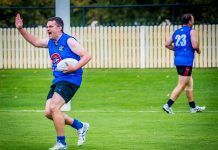 “The current research and evidence about upper limb rehabilitation, in particular that this equipment provides, is generating a lot of excitement,” Ms Svarc said. Physiotherapist with the Inpatient Rehabilitation Ward, Cindy Ridgeway believes the technology behind the equipment will also be efficient in tracking the progress of patients. “The robotics equipment provides official data, which provides the means for us to track and monitor improvement over time which is something we haven’t been able to do anywhere near as accurately,” Ms Ridgeway said. The new technology will also play a vital role in giving hope to patients. “It can be disheartened at times, particularly in the acute phase where patients may have had an injury recently,” Ms Svarc said.